Suzune and Ayane are 18-year-old Japanese twins – each with pink hair and a kawaii sense of style – who we met on the street outside of Tokyo’s Bunka Fashion College. 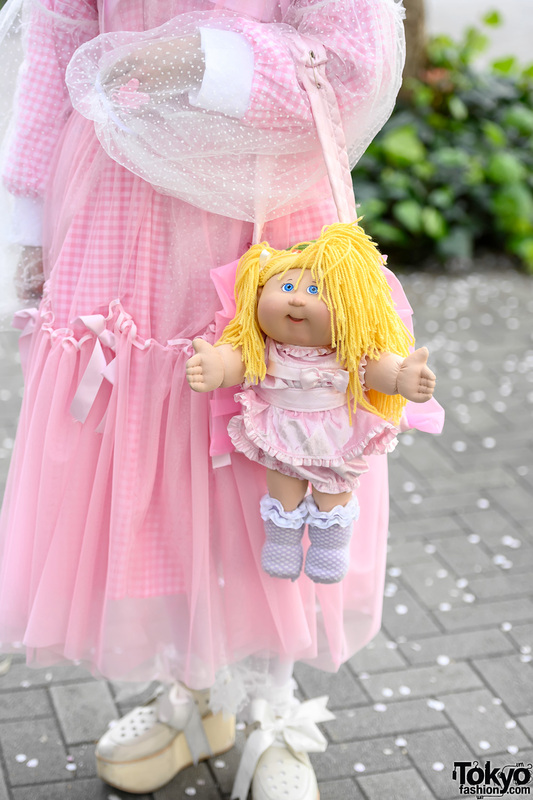 Suzune – with the Cabbage Patch Kid bag – is wearing a handmade sheer top over a handmade gingham dress, Tokyo Bopper platform shoes with bows, and her handmade bag. Her favorite designer is Jenny Fax and she likes the music of Tempura Kidz. 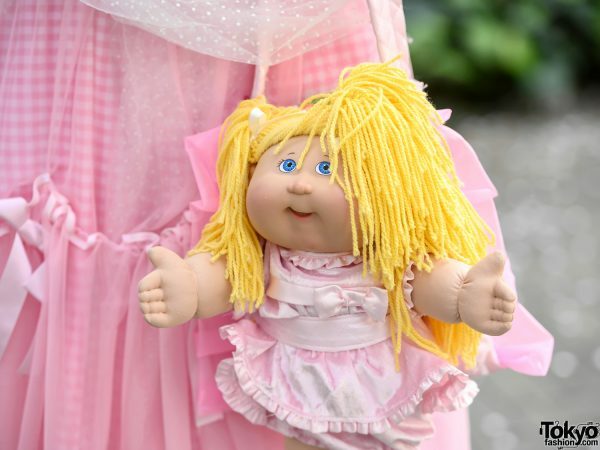 Suzune is active on both Instagram and Twitter. 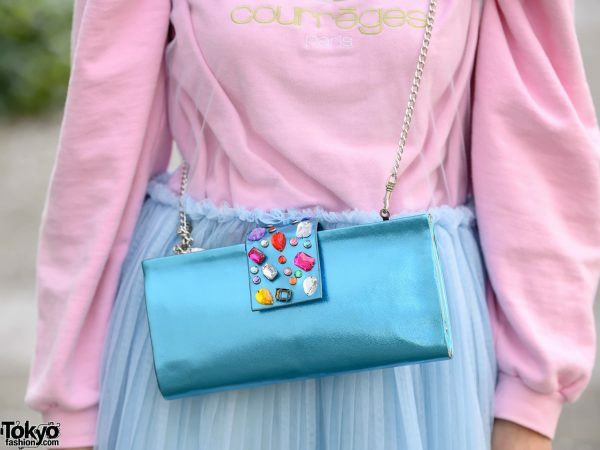 Ayane is wearing a pink vintage Courreges sweatshirt under a Raspberrypie sheer blue dress with pleats, Tokyo Bopper bow platforms, and a vintage metallic purse. 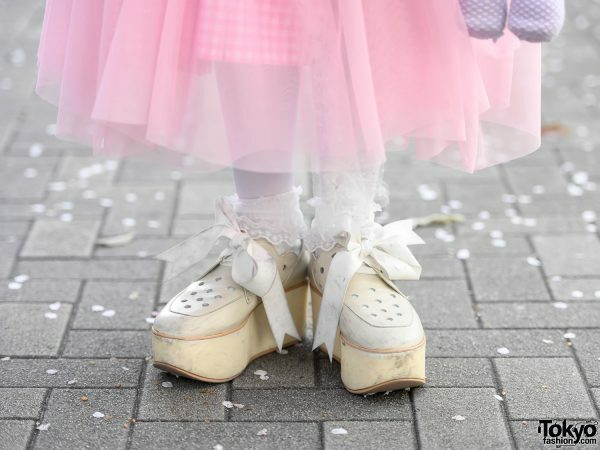 Her favorite fashion brand is Little Sunny Bite and she likes the music of Tempura Kidz. Ayane is also active on Instagram and Twitter.